The last two weeks have been rough! Due to band camp, schedule pickups, school clothes shopping, and freshman orientation there was not one day that I was home before 9:00 PM. Needless to say, I did not get to cook anything new. Instead, we ate fast food, yep, I am weak. We ate fast food and frozen meals for the LAST. TWO. WEEKS! I feel like poo, and my kids complained the entire time about their meals. I will be sure to meal prep next time. I was pretty disappointed that I did not get to make the lemon meringue pie I was itching to attempt. Now that things have slowed down a little, I am dying to get back into the kitchen. But first, I first need to tackle the dishes that piled up over the course of our busy two weeks. Who knew the number of dishes that would accumulate from eating nothing at home, it’s shocking and disgusting! I apologize that I don’t have any new food to blog about. 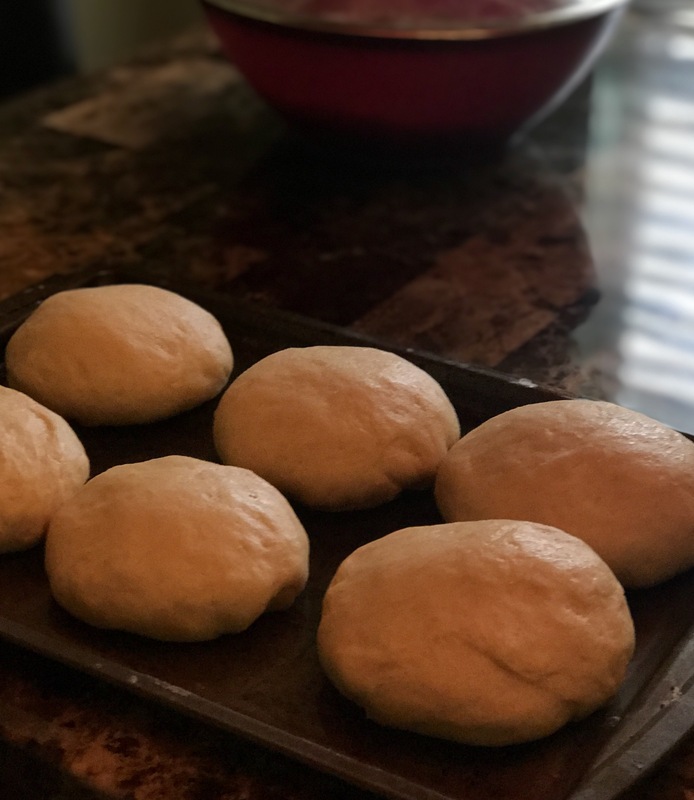 However, I did make some hamburger buns for the first time ever! I was pretty proud of myself! I made them using the recipe from my last blog Doctor Who and Fresh Baked Bread. 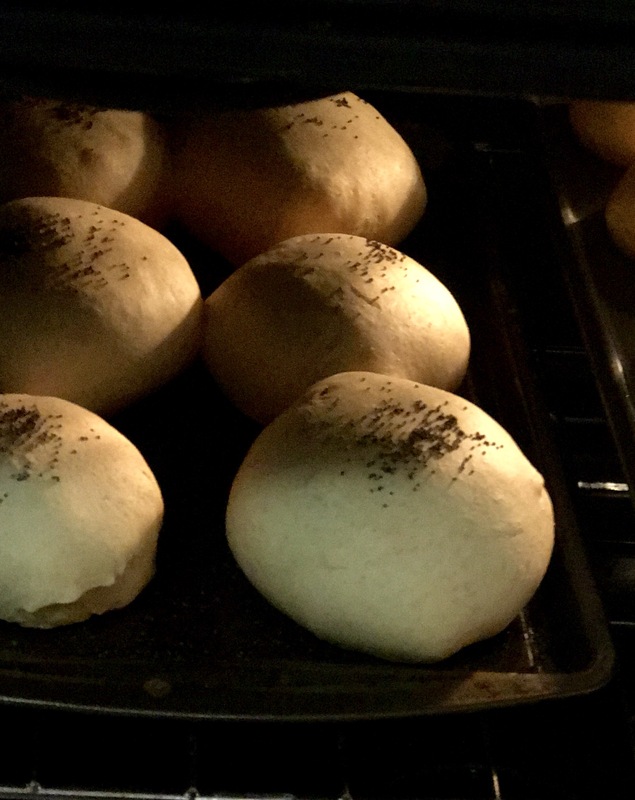 The only difference is that I shaped them into round buns by tucking the dough under itself until it smoothed out. 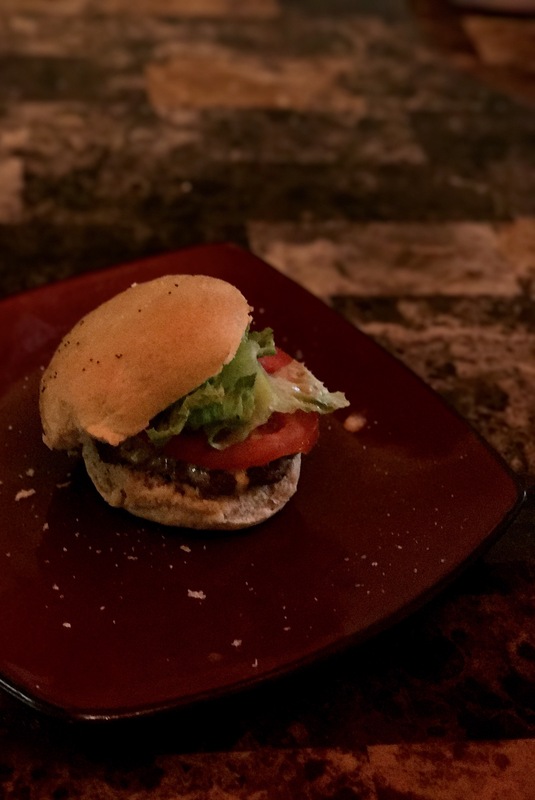 While these were baking in the oven, I mixed some seasoning and balsamic vinegar in with some ground beef and made cheeseburgers. This weekend I promise to make the lemon meringue pie and pray that it turns out good. Since it is my first attempt at making it, I am little unsure about my abilities. My daughter is good at deserts, so I think I will get her assistance to make an excellent presentation. I will let everyone know how it turns out!